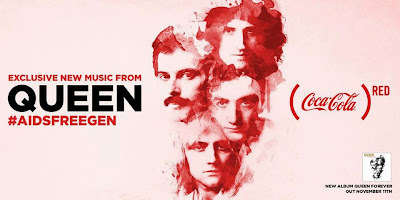 Queen are premiering an unreleased song, “Let Me In Your Heart Again (William Orbit Mix)” fetauring the late Freddie Mercury, as part of a new AIDS awareness campaign spearheaded by Coca-Cola and (RED). Starting November 3rd through World AIDS Day on December 1st, Coca-Cola, in partnership with (RED) - the AIDS organization founded by Bono and Bobby Shriver – is focused on a global campaign called “Share the Sound of an AIDS-Free Generation." An array of artists including Queen, Bono, Aloe Blacc, OneRepublic, Avicii and Wyclef Jean are lending their voices, offering special experiences and unreleased songs that will help rally and engage the world to take action and donate to (RED). Mercury died November 24, 1991 of complications from AIDS. 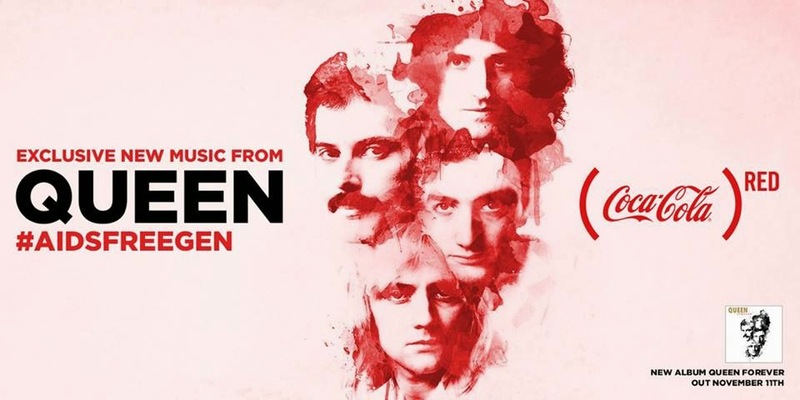 As part of the special experiences offered, Queen are inviting two fans to sit on-stage for their concert at the O2 Arena London; they will also be given a VIP tour of Queen’s legendary recording studio in Montreux, Switzerland. Due November 10 (Nov. 11 in North America), the set presents a mix of Queen’s hits and classic tracks, including three previously unreleased songs featuring Mercury.